Concern for struggling readers and poor literacy scores has educators and special interest groups meeting, blogging, and talking about “awareness” of the issue. Unfortunately, most of the discussion is on just that, “awareness.” There aren’t many new ideas coming down the pipeline to help teachers reach this new age of children and their hunger for bigger, better, faster, and flashier ways of learning. So, the action steps usually include some type of intervention during or after school. Much of this attention is directed towards at-risk 4th-8th graders who are currently being pushed through the system and forced to deal with compounding issues later in their academic careers. Whereas this effort is a vital part of the overall solution, it focusses on what to do with the water that has leaked through the dam rather than plugging the hole. Our company, Alive Studios, is focusing on building stronger foundations for reading and math by focusing attention on PreK to 3rd graders before they enter the mid to upper elementary ages. As a mother of two adopted sons from an orphanage in Latvia, I was faced with the challenge of teaching my young boys to speak and read English. Speaking wasn’t too bad, but reading and writing proved to be a source of many tears. We tried public and private schools and most of the popular off-the-shelf reading programs. Nothing seemed to offer the breakthrough we were so desperately seeking. In the midst of our dilemma, I was introduced to augmented reality. One of my employees slid a flash card with a black square printed on it under a document camera and the Eiffel Tower popped up in 3D on top of the card. It was that event that triggered a full supplemental reading curriculum based on augmented reality for early learners. My desire to help my boys with an engaging, “surprising” way to learn to read actually launched a new company. Alive Studios provides engaging software kits for early learners, incorporating zoo animals that spring to life in 3D and interact with children as they learn reading and math. This eye-popping (and kind of mind-boggling) experience has kids fully-engaged as they recite the letters, words, and simple sentences. Our Letters alive Plus kit incorporates evidence-based reading instruction through the use of AR software. The supplemental lessons and activities are presented within an animal-filled theme, which helps tie science into every lesson. The more I learn about brain science, the more I understand why our solution is so successful for kids. Our lessons appeal to a wide range of learning styles and abilities, and literally have students laughing and squealing their way to better scores. At J.E. 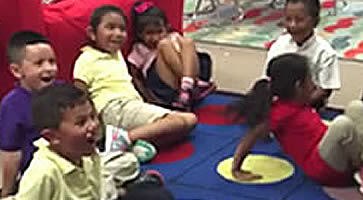 Moss Elementary in Nashville Tennessee, Greg Smedley-Warren teaches a kindergarten class that is 90% ELLs. Within the first 30 days of integrating Letters alive Plus into his ABC Bootcamp, Greg said, “Our letter and sound knowledge went from less than 10 (average)…to all 26 letters.” After using Letters alive Plus, he said, “90% of my students read at grade level or higher and are reading earlier in the year.” Reading scores from his class are charted in a new case study, which includes a revealing interview. Greg said that his students’ engagement in Letters alive Plus was “amazing,” adding that “It also builds excitement for school, which is vital for our students at the beginning of the year.” The Letters alive Plus kit that Greg and his students used includes 26 letter cards, 97 sight-word cards, and 84 word-family cards. Each card is interactive and triggers multiple animations depending on the word or sentence that is created. While learning to identify and sound out each letter, the kindergarteners were able to hear, see, touch, build, and speak all throughout the lesson. This multimodal approach appeals to a broad range of learning styles and abilities, and increases long-term retention (especially for ELL, at-risk, and special needs students). While our supplemental learning kits are aligned to kindergarten state standards, they are also extremely effective as interventive solutions for 1st-3rd graders who may not have mastered the required reading and math concepts. One of the more flexible features of the programs is that they can be used for whole class, small group, or individual instruction. This allows teachers to target instruction based on students’ specific needs, which improves outcomes. Alive Studios already had independent research that revealed a 48% increase in letter naming and a whopping 112% increase in letter sound recognition. One of the surprising results of this previous study was the positive effect Letters alive had on classroom management. Attention spans were lengthened and students’ motivation to learn was increased. Now that teachers have been actively incorporating the AR-based software into their existing curriculum, several success stories, like Greg’s, have begun pouring in. My team and I were thrilled about this new data from Greg. Getting this affirmation for the effectiveness of our learning kits, especially with ELL students, inspires us to continue helping teachers throughout the U.S. and beyond. Teachers can use unexpected events to bring students’ brains to attention and illuminate the pathways to memory storage. Can you think of a time when you were surprised? Of course you can. We all can. There’s actually a scientific reason that explains our ability to recall such times, as Dr. Judy Willis, a neurologist and classroom teacher, explains in her book, Research-Based Strategies to Ignite Student Learning. “Our brains are structured to remember novel events that are unexpected,” says Dr. Willis. There are chemicals or electrical signals that pass from neuron to neuron across synapses in our brain in normal thought processing. During a surprise or unexpected event, an extra dose of dopamine is released in our brains, creating stronger connections, which lead to long-term memory. “One of the most important brain regions involved in discovering, processing, and storing new sensory impressions is the hippocampus, located in the temporal lobe of the cerebral cortex. Novel stimuli tend to activate the hippocampus more than familiar stimuli do, which is why the hippocampus serves as the brain’s ‘novelty detector,’” cited Daniela Fenker, researcher at the University of Magdeburg’s Neurology Clinic II in Germany. With Google and a few hours of research time, you can find countless studies that confirm the significance of a novel event that interrupts a familiar context and how it increases the ability to recall information. Understanding and accepting this phenomenon leads to the question of whether or not the surprise can come from an intended and purposeful source rather than by chance. The short answer is yes. Several studies in controlled settings have tested the effect that surprise events play in an otherwise normal learning environment. In each case, memory and recollection improved when novel events were interjected. How does all this translate to education? Are there ways in which educators can structure their lessons to take advantage of “surprise”? Dr. Willis suggests teachers use surprise to bring students’ brains to attention and illuminate the pathways to memory storage. For example, teachers can introduce lessons while wearing a funny hat or an elaborate costume; or, students can read stories in a new environment such as a circle of beanbags or outside on the grass. Parents and local volunteers can be invited to present information or concepts with a refreshing perspective. Music, games, hands-on activities, friendly competitions, team concepts, and project-based learning are effective ways to not only improve motivation and engagement, but also to increase students’ knowledge retention. Some of the most successful and celebrated early-ed teachers today are known to embrace this concept. They have bright and colorful classrooms with creative, open seating. They have built a culture of fun, imagination, and sometimes their own language; they single out students with special nicknames, handwritten notes, or frequent eye-contact conversations to let them know they are loved and important. If you think of your favorite teachers from your elementary years, chances are good they followed practices similar to these. Each of these examples goes beyond the norm. They are unexpected and break the pattern of the familiar. As a mother of two adopted sons from an orphanage in Latvia, I was faced with the challenge of teaching my young boys to speak and read English. Speaking wasn’t too bad, but reading and writing proved to be a source of many tears. We tried and failed with most of the popular off-the-shelf reading programs. Nothing seemed to offer the breakthrough we were so desperately seeking. In the midst of our dilemma, I was introduced to augmented reality. One of my employees slid a flash card with a black square printed on it under a document camera, and the Eiffel Tower popped up in 3D on top of the card. Yes, that was a personal “novel event” that I will remember forever. It was that event that triggered a full supplemental reading curriculum based on augmented reality for early learners. My desire to help my boys with an engaging, “surprising” way to learn to read actually launched a new company. Today, Alive Studios embraces the element of surprise, along with a multi-modal and cross-curricular approach, to motivate early learners towards proficiency. Each letter of the alphabet is coupled with an animal that springs to life in 3D and interacts with children as they control its actions by building sentences with sight words. This eye-popping (and kind of mind-boggling) experience has kids giggling, squealing, and laughing as they recite the letters, words, and simple sentences. We are introducing a new augmented reality printed storybook, Amos Alligator Arrives at the Airport, into our current line of reading and math programs for PreK to 3rd graders. Our new interactive storybook is one of only a handful in early education that utilizes the emerging technology known as augmented reality. The accompanying free Storybooks alive™ app provides young readers with an unforgettable 3D experience and transports them into an imaginative and exciting adventure. It’s so funny when teachers see our animated characters pop into their mobile devices. They get as excited as the kids do! Our main products are great in the classroom, but we didn’t have a product that encouraged parental engagement… until now. The free Storybook app is rich with activities for parents and children to work through together and is available now on the iTunes App Store and Google Play and the printed book can be purchased from www.StorybooksAlive.com. With the app, young readers can point their tablet or smartphone camera at the pages in the storybook and have the characters jump to life in augmented reality on the device. The 3D elements and characters then interact with the reader as they’re touched on the screen. Children can have the book read to them by the app with a simple touch or they can read by themselves. Our first augmented reality Storybook teaches the letter A and the sounds it represents, along with several sight words as children are engaged with Amos’s adventure. We’re very pleased to be announcing our new book at ISTE 2016 in Colorado June 27-29, one of the premier technology shows for education worldwide. Hello fellow CEO’s … Chief Education Officers! I am blessed with the opportunity to speak at several educational conferences around the country about augmented reality… one of my favorite topics. I know we develop our own augmented reality software for classrooms, but it is always good to see what others are doing with this cool technology in education. Our passion is to provide educators with nuggets of information and practical tools that can be brought back to classrooms. Augmented Reality will be a huge part of this next generation. One of the leaders in the space, Magic Leap, has raised over one billion dollars in investment startup capital; demonstrates the interest and potential this technology offers. If you aren’t familiar with it, check it out. I know we are all looking for differentiated learning experiences that engage our students. One of the products I want to share with you is called Aurasma. Aurasma is a free DIY (do it yourself) augmented reality app for your smart device. You can use it to “bring to life” anything or object in your classroom. The thing I really like is its intuitive menu system. It doesn’t take long at all to find your way around it and begin creating your own augmented reality magic. I put a short video together to show you how easy it is to use Aurasma. In the video you will notice I make ordinary vocabulary cards come to life. You can use this wonderful little app to teach so many things… you are limited only by your imagination. Enjoy! Thanks to our friends at Kaplan Early Learning Company, our reading and math learning kits are now posted amongst the other great products offered through this popular funding organization. Letters alive, Math alive, and Learning alive are now available in Mac or Windows versions on the DonorsChoose.org website. 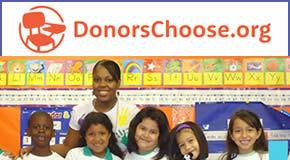 DonorsChoose.org makes it easy for anyone to help a classroom in need. Public school teachers from every corner of America create classroom project requests, and donors can give any amount to the project that inspires them. Teachers simply post their need and the product they wish to have, and donors can choose to make donations to fund the project. According to their website, over 70% of projects get funded. Periodically, Bill and Melinda Gates offer a matching program where they match any project donation. In an effort to help teachers post their stories and projects, we have created a funding section on our site to make it as easy as possible to post your project and seek funding for our products. Several studies argue about whether repeating a grade is helpful or harmful to students; yet few studies discuss prevention by developing readiness. According to the National Center for Educational Statistics, retaining a child can result in bullying or victimization and increase the likelihood of dropping out of school before graduation. This fact, coupled with the exorbitant costs associated with repeating a grade, prompted us to dig into a solution. Nationally, the majority of retention decisions are among Kindergarten and First Graders with reading proficiency being cited as the number one measurement. The greatest contributors to the reduction in retention rates over the last decade has been the lowering of the standards bar and avoidance-based promotions aimed at preventing the negative results that may occur from retention. Unfortunately, few schools are focusing on actually increasing literacy as a means of decreasing retention rates. The national average cost for retaining a student is $10,700 according to the latest statistics. The direct cost to society of retaining 2.3 percent of the 50 million students enrolled in American schools exceeds $12 billion annually. Kindergarteners and 1st graders combine to make up roughly 25% of the overall total. This cost, coupled with the data from studies showing the negative consequences of retention, can cause school districts to extend unwarranted promotion that ultimately contributes to America’s dismal illiteracy and dropout rates. Considering the fact that preventing one single student from retention could save a district $10,000 in extra expenses, it doesn’t take long to realize addressing reading proficiency needs to take a higher priority among curriculum decision makers. This proactive approach during early ages can have a measurable, positive impact on the overall education system. States vary with their standards and definitions for “readiness” and “proficiency” and the corresponding actions they pursue. Florida and New York have instituted so-called “Promotion Gates” that include early testing and standards to help identify those students in need of additional attention. 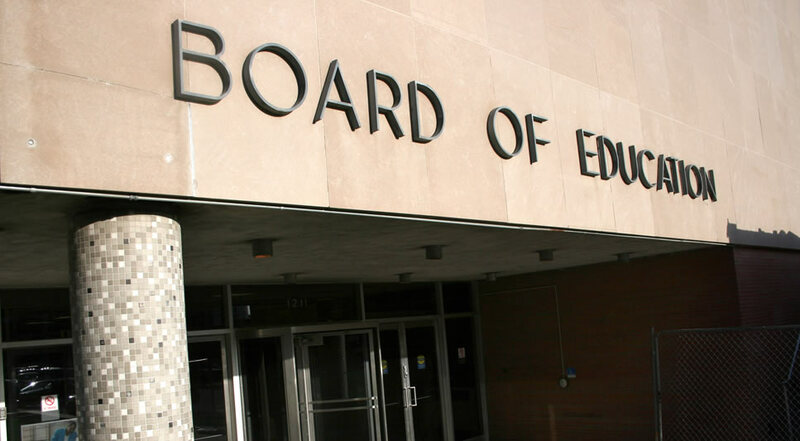 The introduction and implementation of No Child Left Behind in 2001 also prompted schools to take a fresh look at exposing readiness by testing at critical transitionary stages throughout the educational grade system. However, awareness is only part of the story. Determining the root issues that contribute to illiteracy and providing solutions that address those root issues make up the silver bullet the educational system has been missing. Two major contributors to the shortcomings in our students’ reading proficiencies include: 1. Lack of student engagement in the activities and lessons presented in the selected curriculum, and 2. Absence of key teaching modalities within curriculums aimed at communicating with students who have various learning styles and skills. The results of a study being conducted by the University of West Georgia will be released in July 2015. This Independent Research studied the effects of teaching early literacy with Augmented Reality, a type of 3D technology that adds virtual reality components to a real world experience. The study was conducted in Kindergarten classes within a Title 1 school. Augmented Reality technology has been tried and proven in other industries such as medical, aviation, and even the US military; but its application and successes within an educational curriculum is only recently emerging. Curriculum developers using Augmented Reality are among the pioneers who are facing the challenges of illiteracy head on. District-level decision makers who wish to address the costs associated with retaining young students would serve themselves well to consider implementing an Augmented Reality based, supplemental reading solution into their PreK to 3rd grade classrooms. The costs associated with adding such a program are far less than the $10,000 per student expense that is incurred by repeating a grade. Alive Studios is introducing the Mac version of its Augmented Reality early literacy software program at the ISTE Expo in Philadelphia, PA. 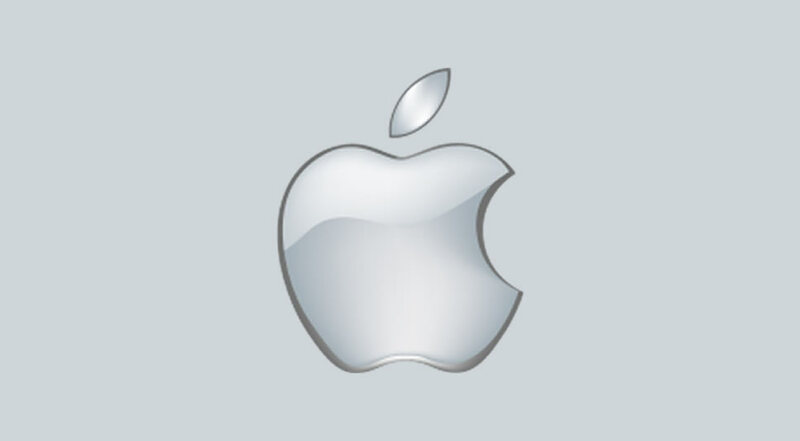 This product release is expected to be welcomed by School Districts who use Mac Technologies exclusively. Letters alive, a supplementary reading software program for 3-8 year olds, will be available for Mac users with OS 10.6 or better. This program includes the world’s first full-year curriculum ever written for early education using Augmented Reality. “Early learners will be taught letters, words, and sentences while being fully engaged by the mind-blowing visual effects of Augmented Reality,” stated Janice Sinclair, Principal at Gerard Prep School and user of the software. 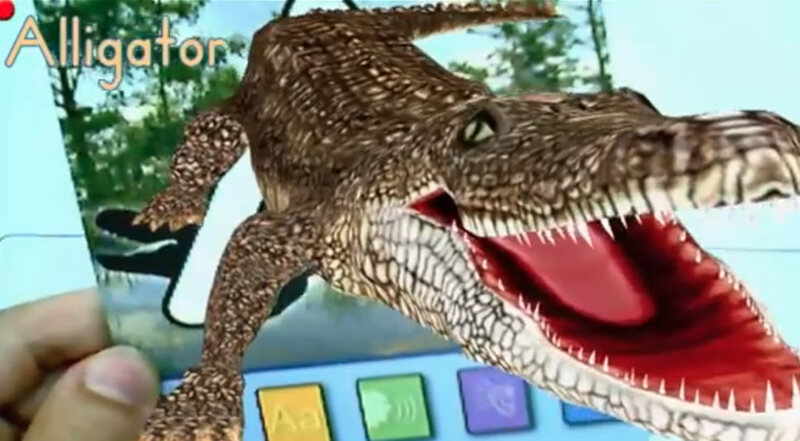 Letters alive has 26 animated animals representing the letters of the alphabet that come to life with amazing 3D effects and help students through all the learning activities. With Apple’s recent purchase of Metaio, a German company making Augmented Reality software, all eyes are on what Apple’s next moves will be. The possibilities are limitless. Augmented Reality technology is already successfully being utilized in the medical, aviation, and entertainment industries. 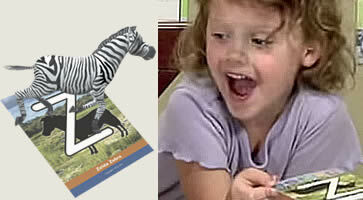 However, Letters alive is one of a small handful of products that has launched in the early education space. “The PC version of Letters alive has been available for over three years and is currently being used in more than 1,000 classrooms around the world. Its low cost and ease of use has made it very popular among schools looking to use technology to fight early literacy problems,” stated Cynthia B. Kaye, CEO (and Chief Zoo Keeper) of Alive Studios. Independent research has proven the effectiveness of using Augmented Reality in an educational program. Kids who were taught with Letters alive realized a 48% increase in letter naming fluency and a 112% increase in letter sound fluency over students not using the Augmented Reality software. More successful results will be released this July from another study using Letters alive with At Risk students. The release of Letters alive for Mac at the ISTE Expo on June 28 is sure to draw favorable attention with several school districts around the country using Macintosh computers exclusively. “Until now, their younger grades have not had an opportunity to experience Augmented Reality in their literacy programs,“ added Kaye. Alive Studios, the developer of Letters alive, also introduced Math alive earlier this year for PC’s and Mac’s. Math alive is a game-based supplemental math program for 3-8 year olds that features Metaio’s Augmented Reality technology along with 45 skill-based games that provide instant feedback to students. Alive Studios will begin shipping the Mac version of Letters alive in July 2015. 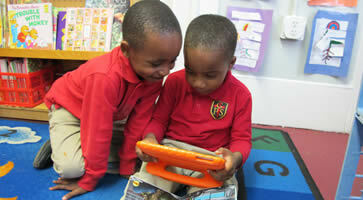 The products are the first of their kind within a full-year curriculum utilizing Augmented Reality for early learners. 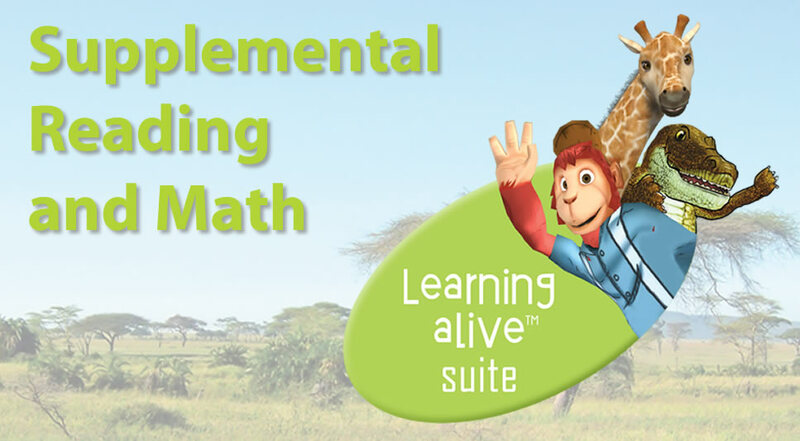 Alive Studios announces the release of Learning alive, its innovative, supplemental reading and math bundled solution for PreK to 3rd Grade. This suite of software is injected with a hefty dose of Augmented Reality, an exciting technology that provides a 3D experience without the glasses. The goal is to have kids proficient in reading and math by the end of the third grade. Currently, 55% of U.S. students are not proficient in reading and math by the end of the 3rd grade. The company is actually the first of its kind in the world to use augmented reality in a full year, supplemental educational curriculum. They have been introducing their software solutions across the country in many of the educational conventions and expos. 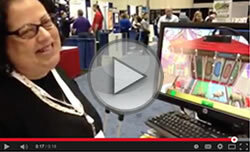 Within a matter of hours, they have the attention of show attendees with their brightly colored booth, trumpeting animal noises and amazing software that enables plain-looking flash cards to jump to life with animated and interactive 3D characters. “Everywhere we go, the common theme amongst teachers is how to engage students,” states Alive Studios CEO, Cynthia Kaye. 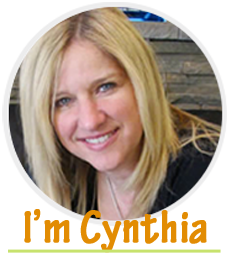 “Shortly after seeing our reading and math solutions, and how we use music, sounds, animation, interactivity and the magic of augmented reality, they realize they’ve found their solution for engaging students,” she adds. The Learning alive Suite, which is now shipping, includes the new Letters alive v3.0, the recently released Math alive, and the interactive digital stories included in Storybooks alive. “Delivering an amazing brand experience is very important to us,” says Kaye. The PreK – 3rd Grade software solutions are infused with 26 lovable characters that draw you into their safari world, and before long, you know each of them by name. In the midst of all the interactive fun, an independent research study shows kids are learning letter sound fluency and letter naming fluency at a faster pace than those not using the software. “After all the flashy fun of engaging young imaginations, we are primarily focused on getting kids proficient in reading and math by the 3rd grade,” says Kaye. Our next stop on the trade show circuit was the FETC Convention in sunny Orlando, Florida. What a treat to have 60+ degree weather in January! We selected FETC to be where we officially announced the newest addition to our educational software solutions, Math alive! On the heels of the successful, Letters alive – our supplemental reading program for PreK to 3rd Graders, comes our solution for early math learners. Like Letters alive, Math alive is infused with an amazing technology known as augmented reality. As expected, attendees who passed by our booth were stopped in their tracks; firstly, by the jungle noises accompanying our 26 animal characters, and secondly, by seeing our characters come alive and jump off the screen! One of our booth visitors was Barbara, an LAUSD Common Core Math Specialist. She was glued to our booth and full of questions. Seeing so much potential in Math alive for her teachers, she gathered all the information possible to bring back to California. Our faithful crew ran demos non-stop, which caused the crowd to consistently be 3-4 people deep. (We apologize if you had questions and we were not able to assist to you.) We had all kinds of magic going on and brought out all the stops; From our colorful Converse to Gerdy Giraffe roaming around the booth, we made every attempt to bring well-deserved attention to Math alive. We are on a mission to get children proficient in reading and math by the third grade, and FETC was another great stop on the crusade. 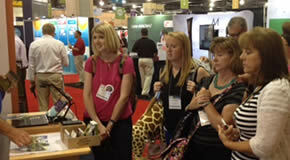 We cannot talk about the FETC Show without mentioning the two lucky winners of our Learning alive Suite! Our educational software bundle for reading and math is valued at $1,295. Jane, of Buncombe County Schools, and Debra, of Port Orange Elementary, had their names drawn from the entries and celebrated the win. Congratulations to both and we look forward to hearing how much your kids love learning with our beloved characters. Our next stop is the Title1 Show in Salt Lake City. The crusade marches on!! Yay! !